Every day, tens of millions of litres of treated effluent pour into Boat Harbour from Northern Pulp, a mill located across the water from Pictou. Successive governments have attempted — and failed — to clean up Nova Scotia's most contaminated site. Now, a deadline looms. The company has been ordered to stop the effluent flow into Boat Harbour by Jan. 31, 2020. It has swallowed up the energy of twelve Nova Scotia premiers from three parties. It has burned up the lives of at least two generations of environmental activists. It has carved a hole in the heart of a tiny First Nations community. And don't even ask what it's done to the water, the lobsters and the fish. This week — once again — all eyes are on Boat Harbour. Boat Harbour is Nova Scotia's largest contaminated site. It consists of 142 hectares of ponds, basins and coves that receive tens of millions of litres of treated effluent every day. It all comes from Northern Pulp. The Northern Pulp mill sits on Abercrombie Point, just across the water from the historic town of Pictou. It converts wood chips into bleached pulp that's shipped to Asia to make toilet paper. For decades, critics have called the mill one of Canada's worst polluters. Activists say that successive governments have made sweetheart deals with the company. They want the plant shut down. But its importance as an employer in job-starved rural Nova Scotia can't be overestimated. In the mill, the union work is steady. It pays well. And it supports thousands of woodlot owners all over the province. It's not surprising, then, that ever since the grand opening of the mill in September 1967, government after Nova Scotia government have cut deals and spent millions trying to contain the environmental mess. On Friday, March 29, a new deadline looms. Nova Scotia Environment Minister Margaret Miller has to decide whether to hold fast to it. By law, the company must cease using Boat Harbour for the reception and treatment of effluent by Jan. 31, 2020. The company says it can't have alternative treatment facilities ready by then and has asked for an extension. Northern Pulp's plan is to put an effluent pipe into the Northumberland Strait. And if that's not allowed, it'll shut down the mill. David Gutnick reports from Pictou in his documentary Every Problem Has Eight Sides. Click "listen," above, to hear the documentary. 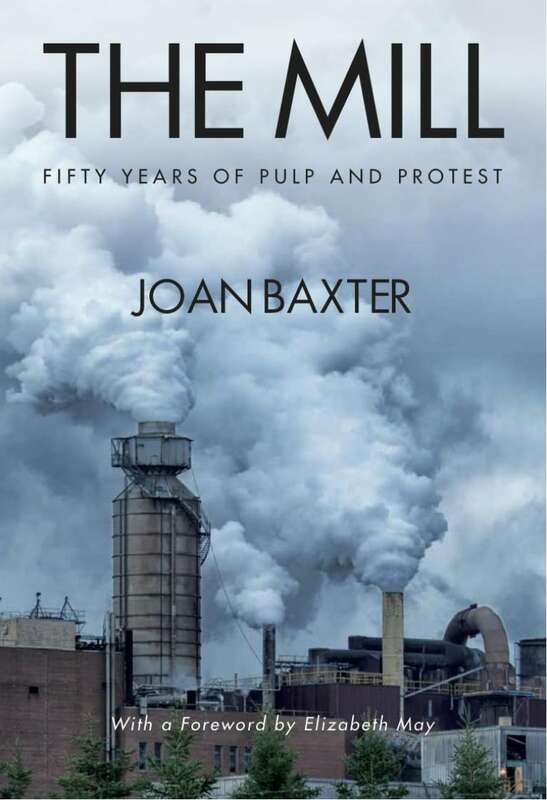 Joan Baxter's 2017 book The Mill: Fifty Years of Pulp and Protest. Linda Pannozzo's series Dirty Dealing, in the Halifax Examiner. The Unifor union campaign Save Northern Pulp jobs. The government of Nova Scotia's Boat Harbour remediation site. The government of Nova Scotia's environmental assessment site. The Pictou Landing First Nation Facebook page. UPDATE: On Friday, March 29, Nova Scotia's Environment Minister, Margaret Miller, rejected Northern Pulp's application for immediate approval of its new effluent treatment plan. Miller said the province will give the company terms of reference for a focus report by April 24, and the company will have up to a year to respond. Northern Pulp said it is willing to collect the data the province has requested, but it will need more time beyond the current deadline of Jan. 31, 2020, to build the new treatment facility. "If the government does not give us enough time to complete the new facility, we will have no choice but to permanently cease operations in Nova Scotia," Brian Baarda, Paper Excellence Canada CEO, said in a statement.